Yulia Tymoshenko, a former Ukrainian prime minister and leading backer of the new regime installed by last month’s coup, has called for Ukrainians to take up arms against Russians and for the Western powers to reduce Russia to ashes. In a phone call leaked online, Tymoshenko urged the murder of Russians and Russian President Vladimir Putin. “It’s about time we grab our guns and kill those katsaps [a derogatory Ukrainian word] together with their leader,” she said. (Available from the original source here and with RT’s English translation here). Tymoshenko also advocated the nuclear slaughter of the eight million Russians who remain on Ukrainian territory. She confirmed the authenticity of the conversation on Twitter, while claiming her call for the use of nuclear weapons was edited. 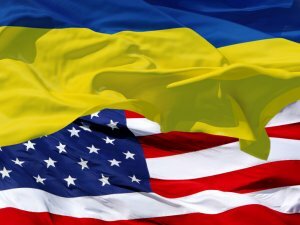 The phone conversation with Nestor Shufrych, former deputy secretary of the National Security and Defense Council of Ukraine, was uploaded on YouTube on Monday by user Sergiy Vechirko. Shufrych had denied its veracity. The leaked tape is a damning exposure of the lies constructed by the US and its allies that the crisis over Ukraine and Crimea was triggered by Russian aggression. It reveals the real face of the regime installed with the support of fascistic forces in Ukraine. The phone call took place on March 18, hours after the Crimea accession treaty was signed in the Kremlin, following the Crimean referendum vote to join Russia. Tymoshenko, who was released from jail on embezzlement charges immediately after the Kiev coup, typifies the layer of oligarchs and extreme right-wing nationalists who, with the backing of the US and European Union, orchestrated the removal of President Viktor Yanukovich’s government after he rejected an EU treaty that would have imposed brutal austerity and free-market measures. Tymoshenko rose to power in the pro-US and EU “Orange Revolution” in 2004, becoming prime minister from 2007 to 2010. Before her political career, she was a gas industry tycoon—by some estimates one of the richest people in the country. In 2005, she placed third in the Forbes magazine’s list of the world’s most powerful women. She was charged with corruption during criminal investigations in 2010, and sentenced to seven years in prison for misspending about $US500 million and embezzling $120,000. She was released on February 22, following a revision of the Ukrainian criminal code that effectively decriminalised the actions for which she was imprisoned. This is not the first such revealing telephone leak in the Ukraine crisis. In February, a tape recorded US Assistant Secretary of State for Europe, Victoria Nuland, declaring “F**k the EU” as she discussed installing the future Ukrainian government with the US ambassador to the country, Geoffrey Pyatt. Another recent incident further highlighted the character of the forces unleashed in Ukraine. Passengers travelling from Russia to Moldova via Ukraine’s territory were robbed by an ultranationalist gang. A similar fate befell passengers travelling from the Ukrainian city of Krivoy Rog to the Russian capital, the NTV channel reported, except that Ukrainian border officers were involved, grabbing passports from Russian citizens and demanding cash. Last week, a video on YouTube pointed to the work of pro-regime fascist thugs in Kiev. Led by Igor Miroshnichenko, a Svoboda party MP notorious for his anti-Semitism, a gang broke into the offices of Ukraine’s state television, NTU, and forced its president to sign a resignation letter (see “Svoboda thugs attack head of Ukrainian national television”).